I have purchased some micro handles which are supposed to help me with micro/up close work. 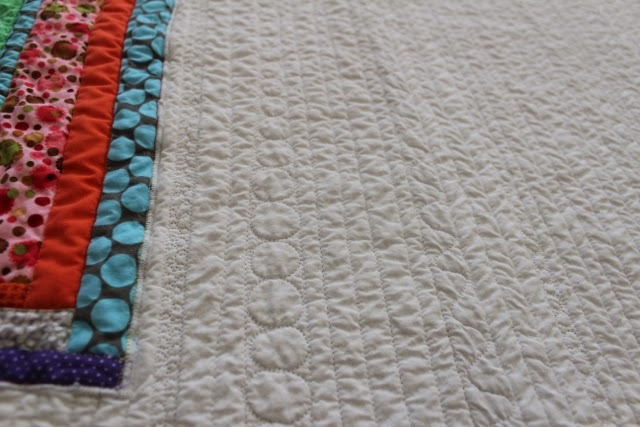 I tend to try to do quite dense/detailed quilting. 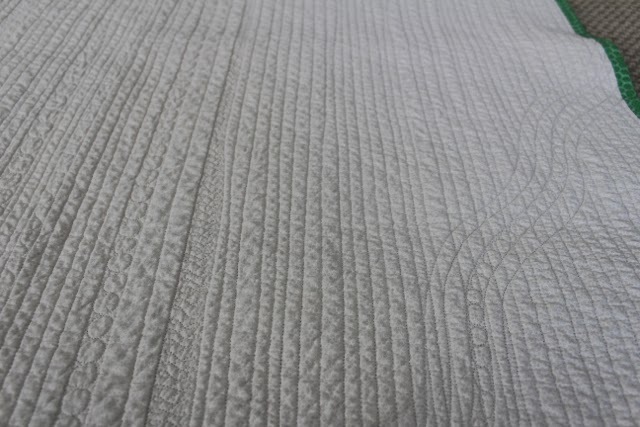 The micro handles are helpful - your hands are in more of a similar position to that of domestic machine quilting - although they do reduce your working space by a few inches as they take up a little room in front of the front bar. I have been trying out some new things I haven't done before - using the Welcome Baby Blankets that I am making for our church as my experimenting ground. 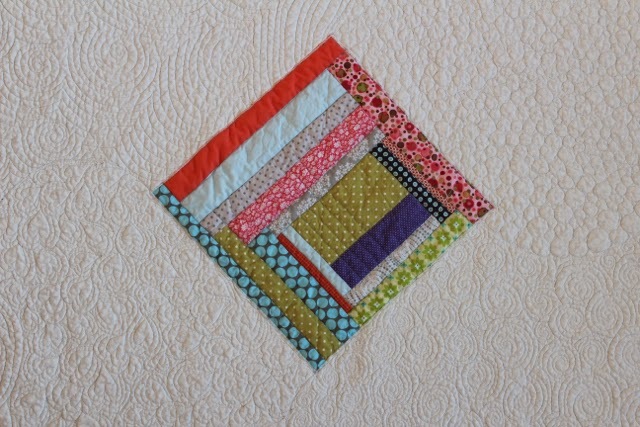 For this little quilt I used free hand straight lines. Straight lines on the longarm are surprisingly easy & quick. Mine are not perfect - but I've been coveting the look of plain lines for a long time and it was really satisfying to try it out. I added some whimsy detail in between some of the lines & some curves in the corner. 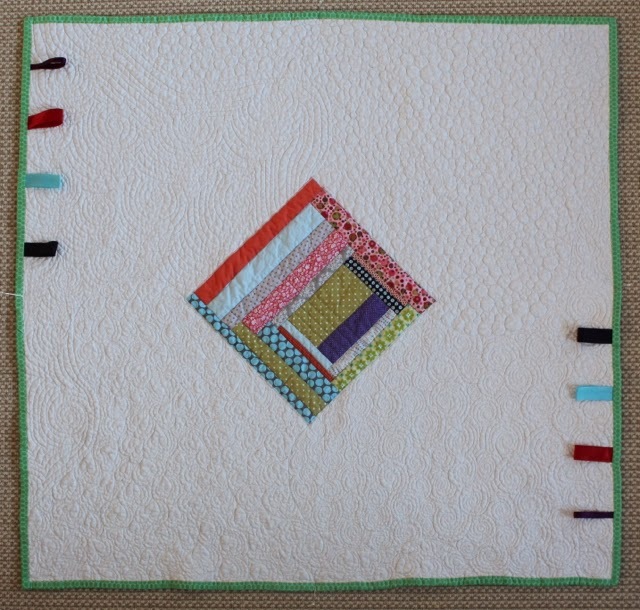 I added colored ribbon loops around the quilts because babies just love to explore the texture ribbons & labels and you can hang infant toys on them too. For the next little quilt I broke the quilt surface up into 4 sections using a curved line. I quilted circles in one area, spirals in another, hearts in another and flowing lines in another. I like how breaking up the service brings an added interest to the quilt. 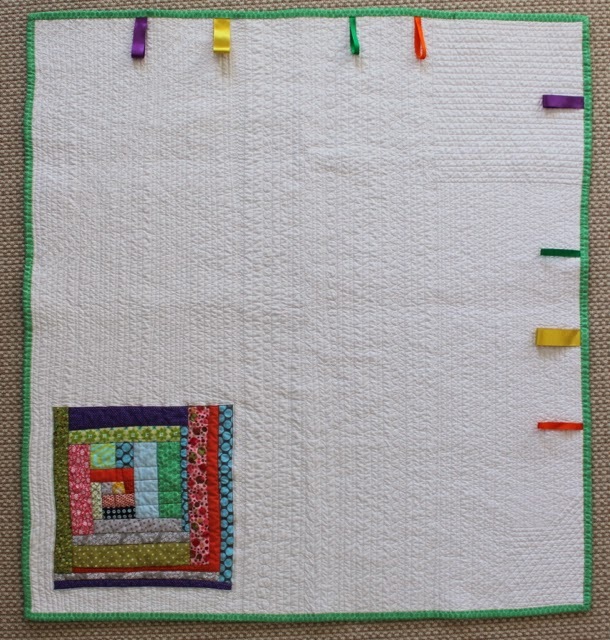 Looking forward to using more straight lines & dividing quilts by texture more in the future! I position my microhandles so they sit next to the needle. This way I don't lose any throat space.